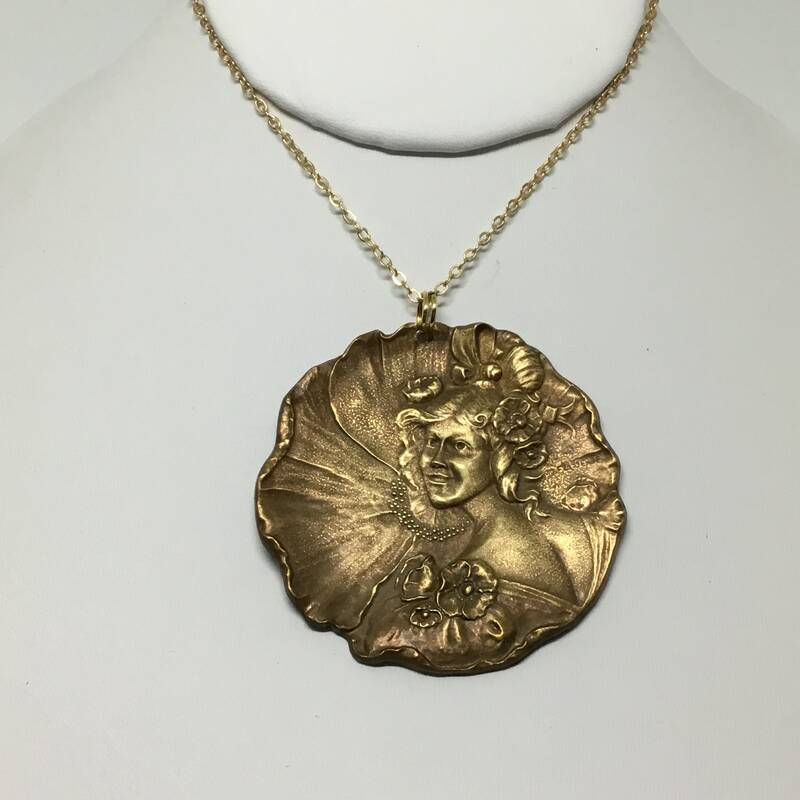 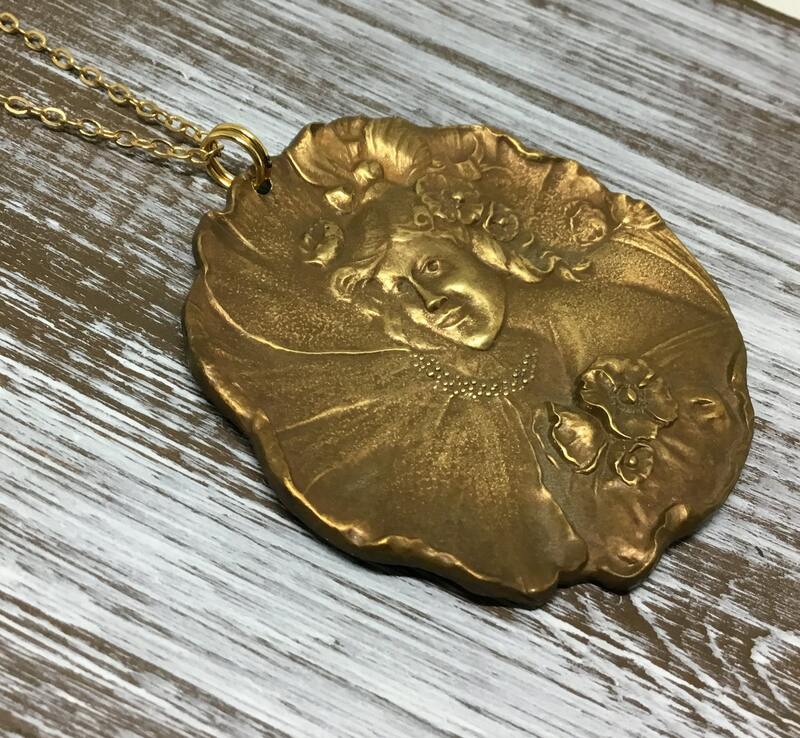 This is an amazing and beautiful necklace made with a vintage medallion and a gold plated chain. 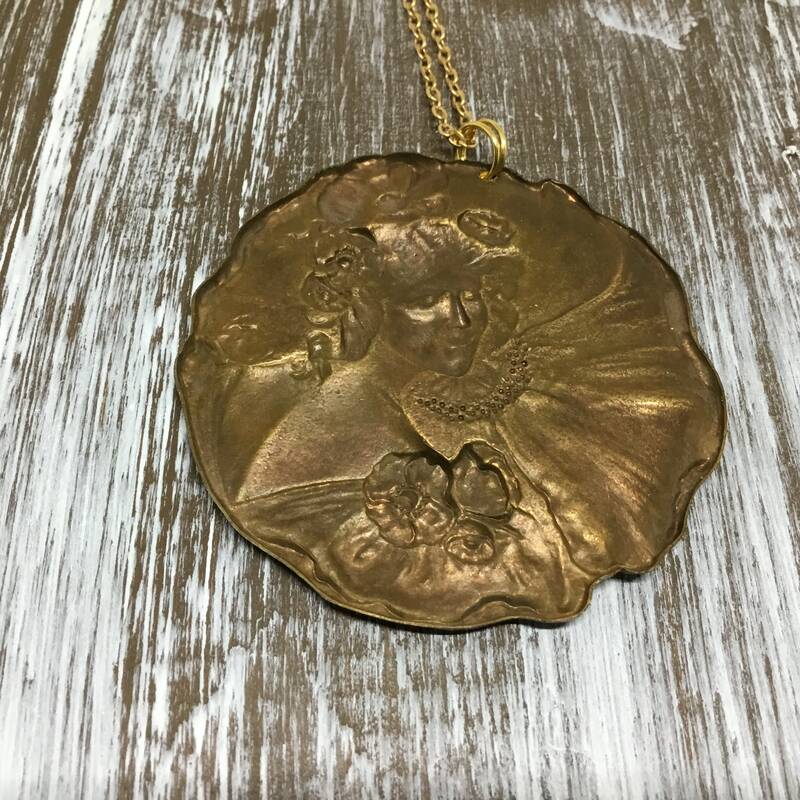 This large French vintage brass stamping was made in the 1930s in Paris France. 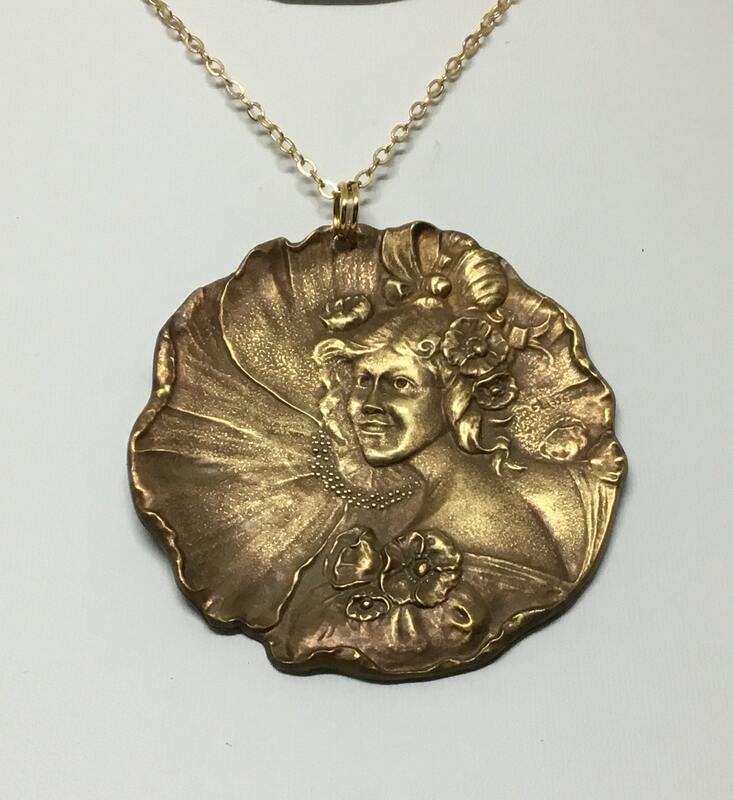 It portrays the Dame de Fleurs, the flower lady, or the goddess of flowers. 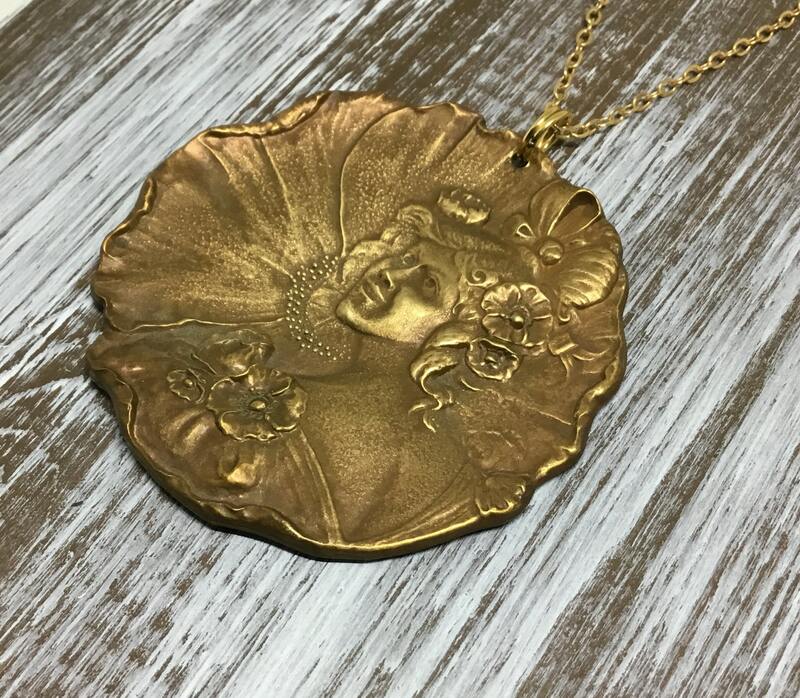 The stamping is in the round shape of a flower and the edges are scalloped like petals. 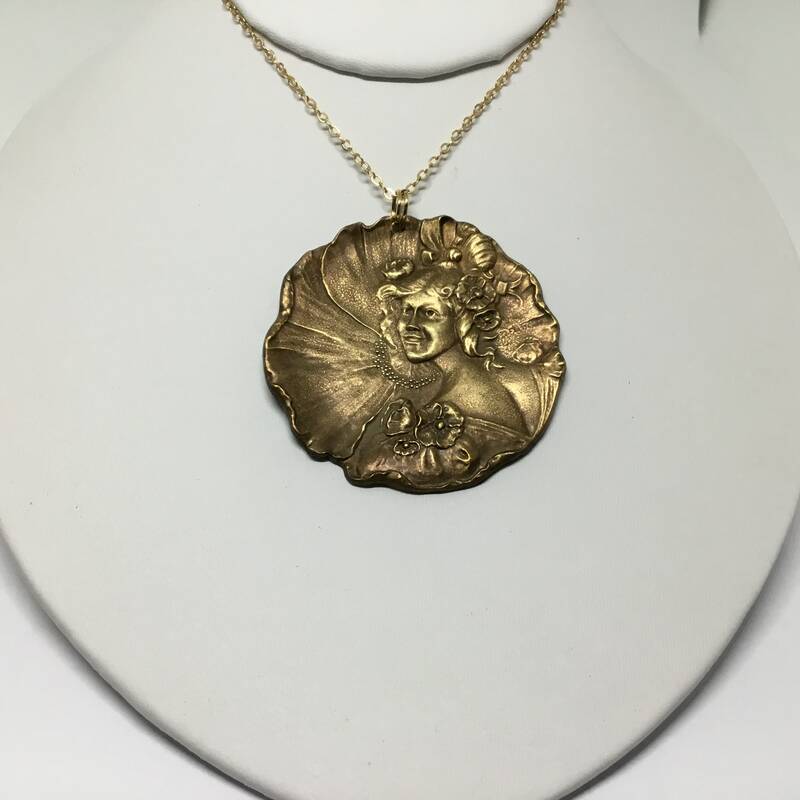 It measures 2 1/4” in diameter with an 18” gold plated chain. 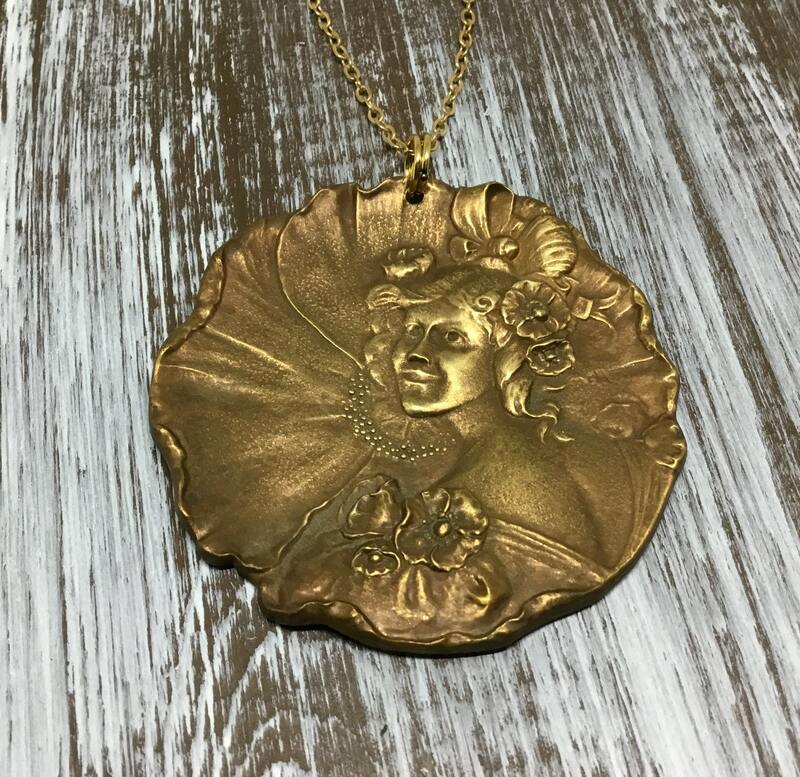 This is a unique and romantic piece that you will wear and look amazing!